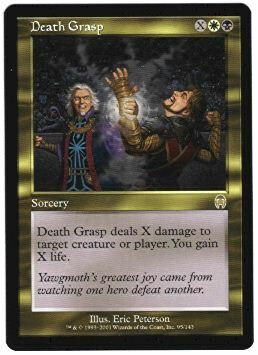 card text: Death Grasp deals X damage to target creature or player. You gain X life.. If you have the mana and the need for health or to win the g ..